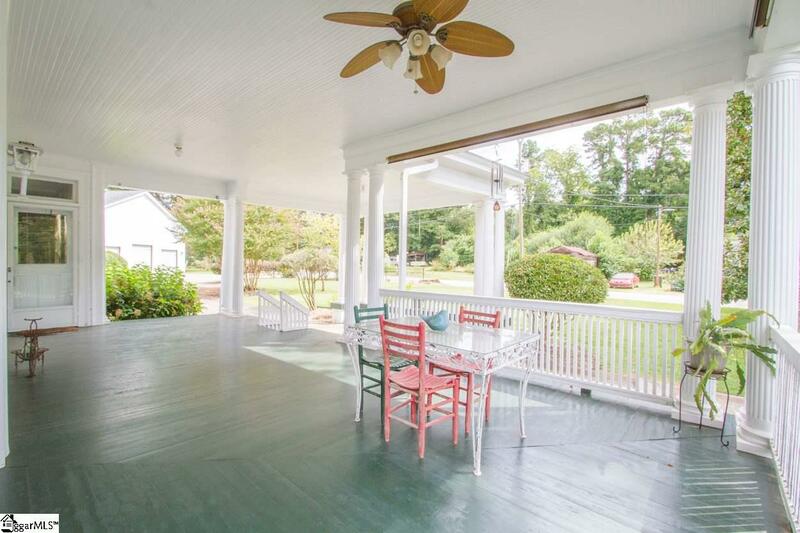 This incredible turn of the century home, known as The Latimer House, sits in the heart of Honea Path and has been wonderfully preserved. 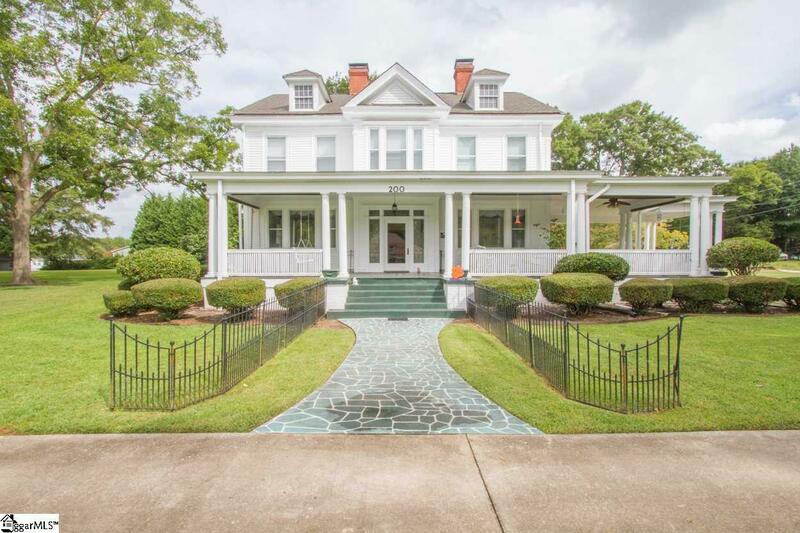 Elegant and stately, the large front porch wraps around the front of the home and boasts grecian columns that transport you back to the 19th century. 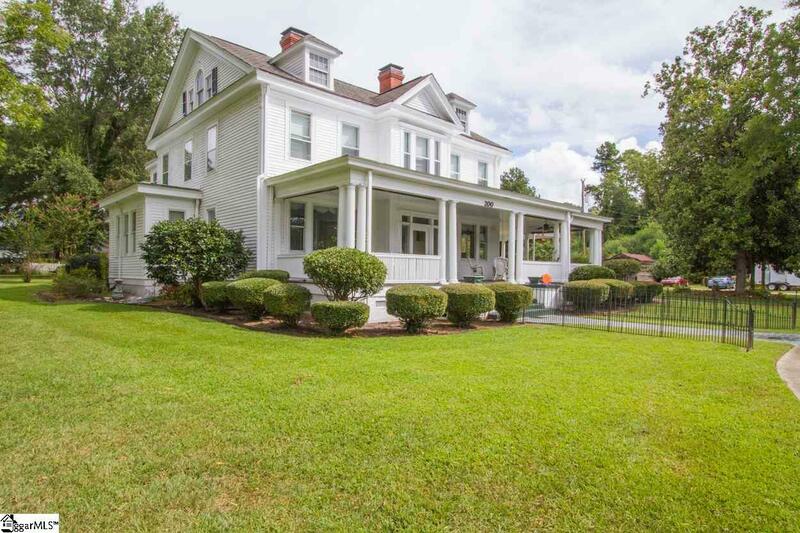 Inside you'll be blown away by the intricacy that was common in this time period: coffered ceilings, pocket doors, built-ins, heart pine hardwoods, fireplaces in nearly every room, and so much more. Downstairs rooms are spacious and include a formal living area with fireplace and gas logs, office with beautiful pocket doors, formal dining room with built-ins and custom seating, kitchen that's been recently updated with double ovens, large island with plentiful storage, and pantry with all the space you'd need. The master bedroom is on the main level, has it's own fireplace, along with a full bathroom and spacious den with custom paneled wall and bookcase. The elegant staircase leads up to a large landing that connects four huge bedrooms, each with their own fireplace and even one with its own kitchenette. An additional office area upstairs could be an ideal storage room or extension of a closet. On the large 2.12 acre lot is a newly-built detached garage that is 40x44ft with three garage bays. History writes that this wonderful property was once the host of weddings, cotillions, tennis events, and many other social gatherings. It's rumored to have also been a boarding house for teachers of the era. 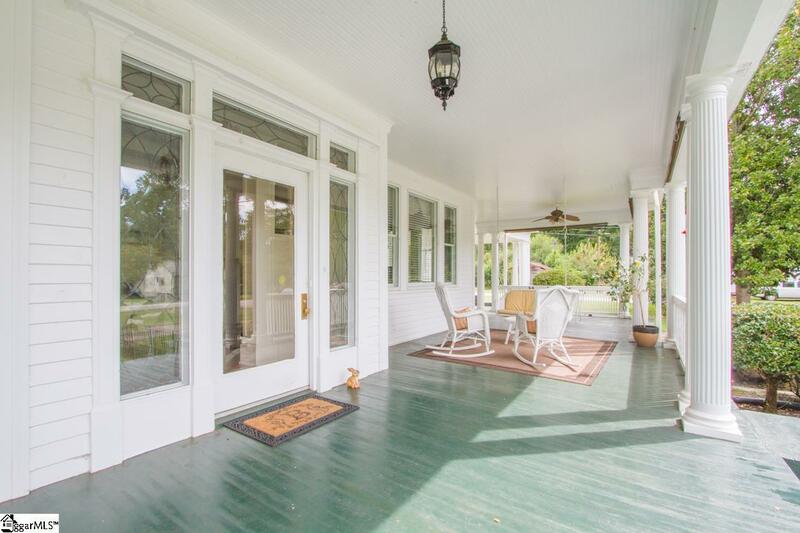 There are so many wonderful features in this home; this is your opportunity to own your very own piece of history and make a mark of your own on this one-of-a-kind property.